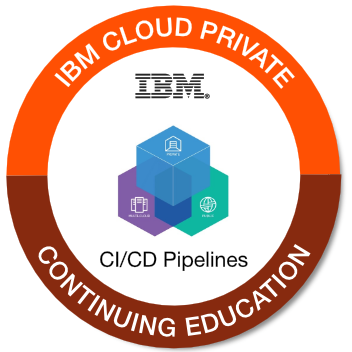 This badge earner demonstrates knowledge of continuous integration and continuous deployment (CI/CD) strategies on IBM Cloud Private. The badge earner has demonstrated the ability to describe the relationships between Kubernetes, Helm, Jenkins, and UrbanCode in a CI/CD strategy. The earner also has demonstrated an understanding of how CI/CD is part of an overall DevOps strategy.